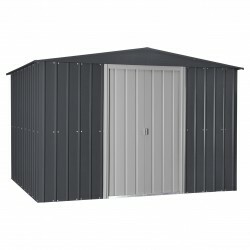 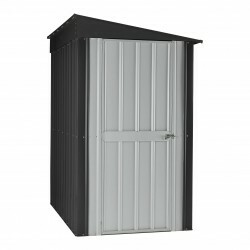 The Globel Skillion Shed is the perfect combination of function and convenience. 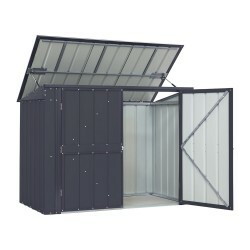 Its small footprint will fit into the smallest areas while still providing ample storage for those items needing safe and secure storage. 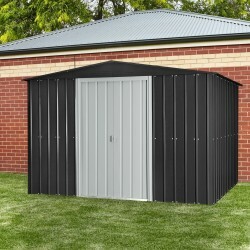 Design of the shed allows it to be easily placed along a garage, fence and will blend into any landscape. Sloped roof design ensures effective water run of away from the entry and helps manage heavier snow loads. 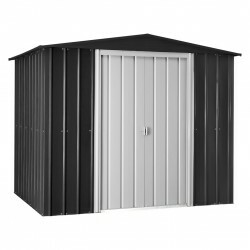 Roof design also offers the added benefit of extra doorway headroom and storage height. 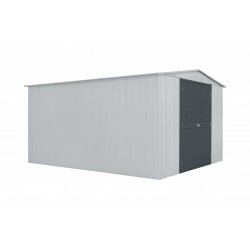 Double sliding doors are lockable and make getting larger items in and out a breeze. 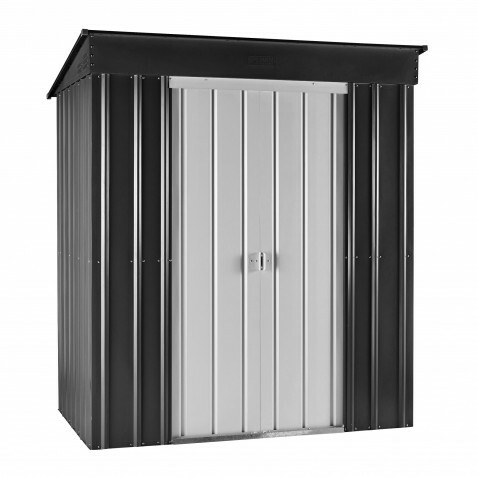 Constructed of durable and rot resistant galvanized steel.